This summer I spent three weeks in Europe, experiencing two of the world’s most bicycle-friendly regions: the Randstad Region in the Netherlands, and the Øresund Region in Denmark and Sweden. Northern European urban regions, of course, have a very different structure to Canadian ones. But outside of the ancient centres, there are more similarities than you’d expect. Over the next few weeks I will be covering some of the more surprising commonalities between Waterloo Region and the world’s leading cycling nations. (And of course Amsterdam, though I didn’t visit). These areas all have exemplary levels of cycling, but they are so different from the typical North American urban form that is difficult to see how we could achieve such a level of cycling in our domestic context. Instead, people come to the conclusion that mass cycling in Europe is simply the result of factors such as the small-scale built form and the society’s culture – elements which would be quite challenging to replicate here. But what is very exciting from a North-American point of view is that even suburban areas have substantial cycling rates, despite having low densities and segregated land uses. 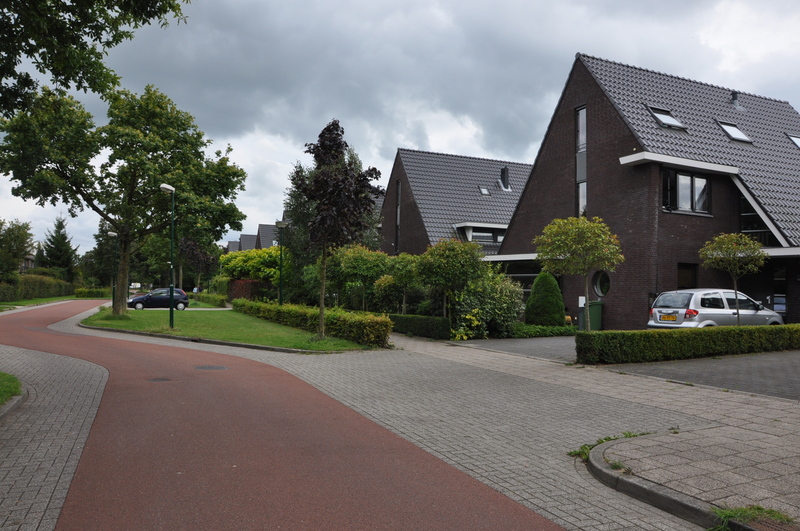 The most striking example I found of a bicycle-oriented suburban community was Houten, The Netherlands. Houten is a town about 7 km south of Utrecht, which was mostly built post-1964 to accommodate Utrecht’s growing demand for family-oriented housing. It now has a population of almost 50,000, and as with many other suburban communities, the majority of residents work elsewhere. And yet, the level of cycling is phenomenal. I couldn’t find overall modal share statistics, but the municipal website says that 42% of all trips under 7.5 km (i.e. within the town) are taken by bicycle. My guess is that it translates to around 30% of all trips, which is on par with much larger and denser cities such as Rotterdam and Copenhagen, and well ahead of anywhere outside of Northern Europe. The reason for the high cycling rate is no mystery. The town was designed from scratch with the goal of minimizing short-distance car trips and maximizing safety. Cycling routes are direct, while almost all car trips involve leaving town and traveling around the ring road. Cycling around town is incredibly convenient, safe, and comfortable, thanks to severely limited motor vehicle speeds and volumes. Waterloo Region will never achieve cycling rates on par with Houten, because the latter was custom-built for the purpose. But I believe that Waterloo is one of Ontario’s best-poised regions to become a very bicycle-friendly community. While many view our suburban nature as an impediment to bicycle-friendliness, it can also be an asset. In more dense communities like central Toronto or Hamilton, bicycle infrastructure projects are often fought viciously because they necessitate taking space away from other uses, typically motor traffic movement or parking. But in Waterloo, infrastructure is introduced fairly easily since many of our arterials have space reserved for expansion that has yet to be allocated to motor vehicles. But in the end, the key reason that Waterloo is poised to become a great cycling region is that there is no other alternative. Unlike cycling or driving, walking and public transit are highly dependent on density. There are a few corridors such as University Avenue and King Street which are seeing development at a high enough density to support high-quality transit service. But even in the most ambitious development scenarios, a large proportion of Waterloo Region’s residents will continue to live in areas too spread-out to support frequent transit service or have a meaningful number of destinations within walking distance. Statistics Canada notes that in the current situation where cycling is a negligible part of transportation, there is a strong inverse correlation between density and car use. Based on the European experience, if cycling were a more central part of our transportation system, this would not be so much the case. Streets are made of concrete and asphalt, but they can be changed. 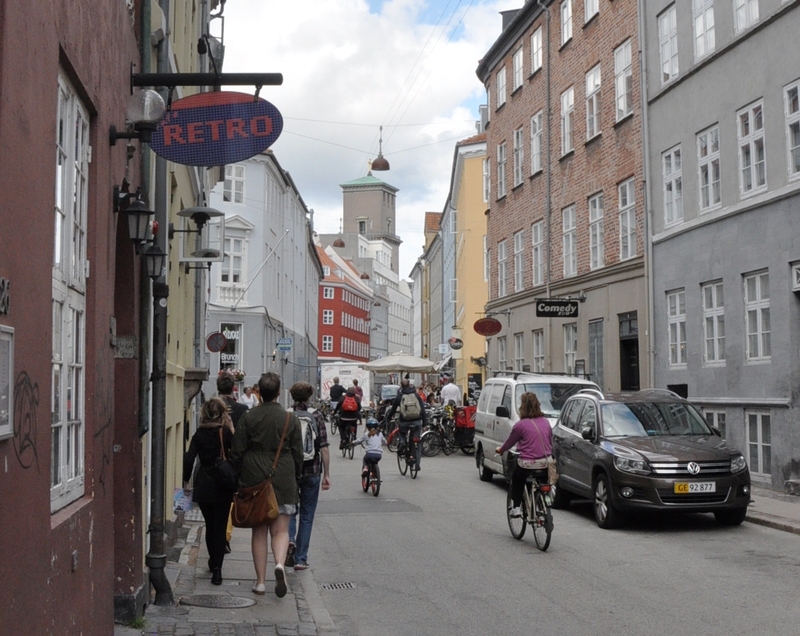 What today looks like a car-oriented street can (for little expense, in fact) be turned into a people-oriented street. Same goes for cities as a whole. After all, we all know we’ve done the reverse! Fair point! It certainly isn’t a universal statement, I was just talking from a Waterloo Region perspective. Because while it is fairly easy to change the layout of a road, it is much harder to change its alignment. Urban areas built prior to the 1950’s typically have streets which form fairly direct routes. 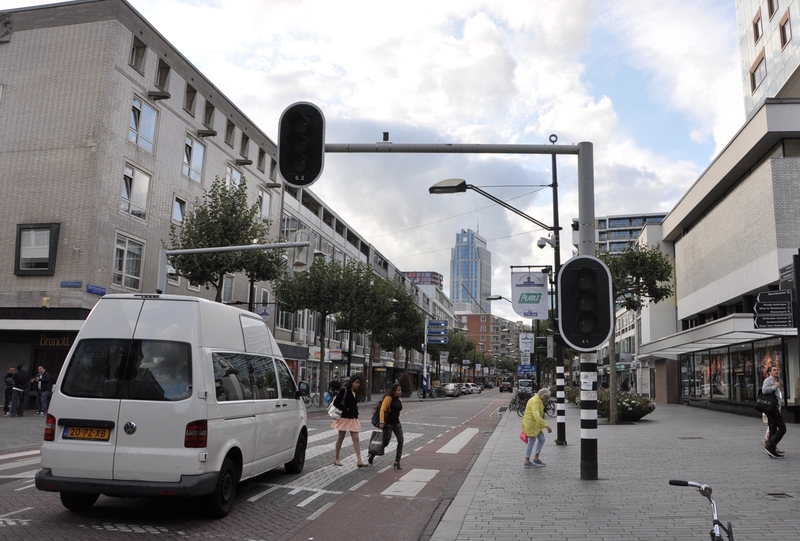 As a result it is quite easy to change the mode split by changing the layout of the street: build many wide car lanes and everyone will drive, restrict motor traffic and every one will walk and bike. But throughout much of Waterloo, the only routes which are remotely direct are the arterial roads. The local streets were specifically designed to discourage their use for through travel of any kind, including by foot and by bicycle. 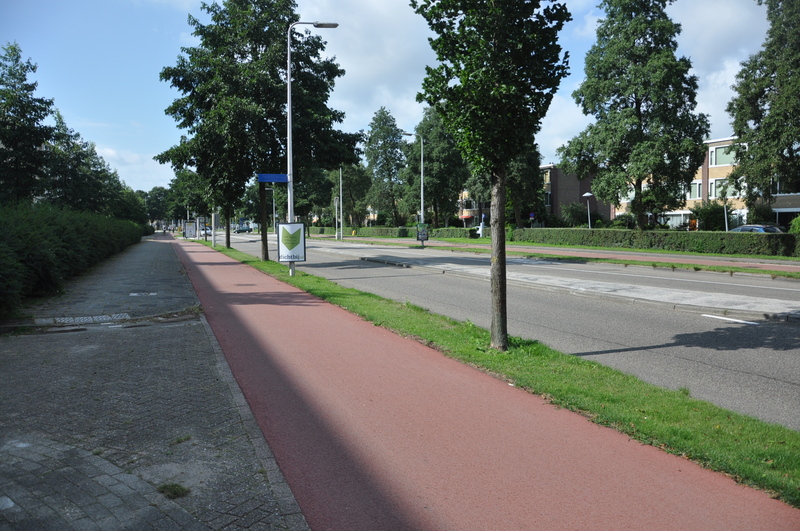 Houten uses the same principle, but in such a way that it only affects motorists. Using tools such as bicycle shortcuts in neighbourhoods we can certainly achieve an arrangement where bicycle trips are shorter than car trips, but not really to the extent of Houten, where they are much, much, shorter. 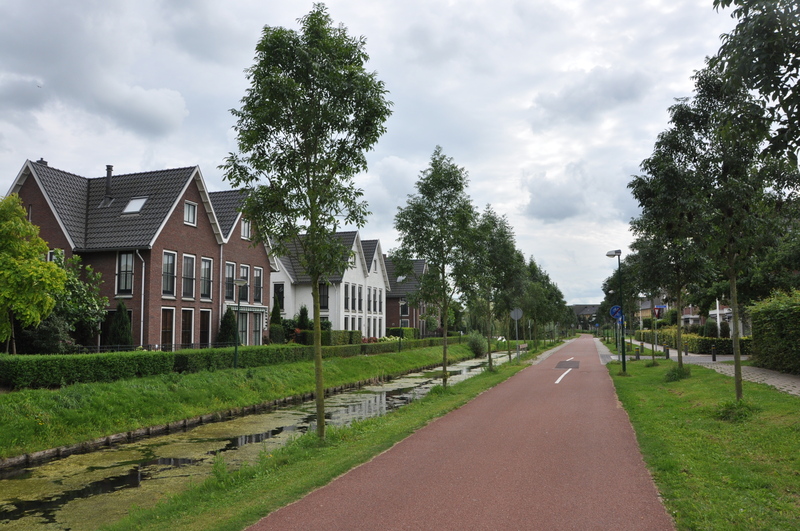 The end result of our street layout is simply that while Houten has a very dense network of bike routes largely along residential streets, ours will be a less dense network largely made up of bicycle paths next to arterial roads. 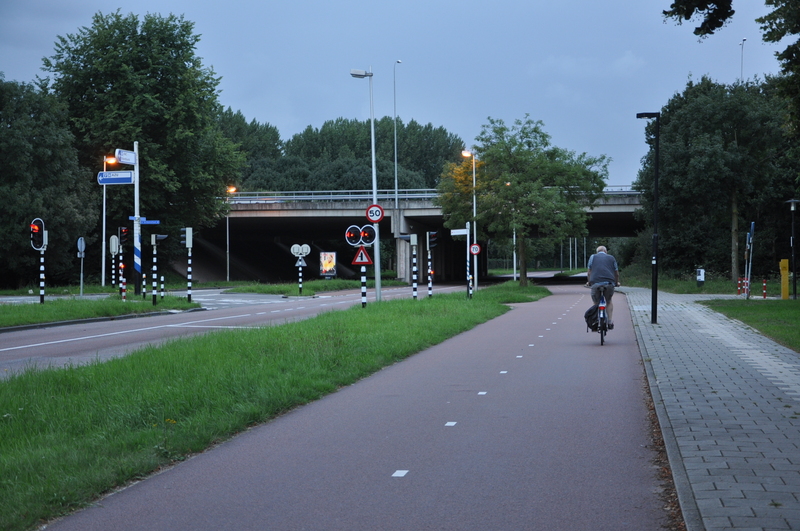 As a result, Waterloo’s bicycle modal share would be limited to around the level of ordinary Dutch cities. But that’s still about ten times higher than where we are now. Waterloo will have to get creative to catch up to Houten. 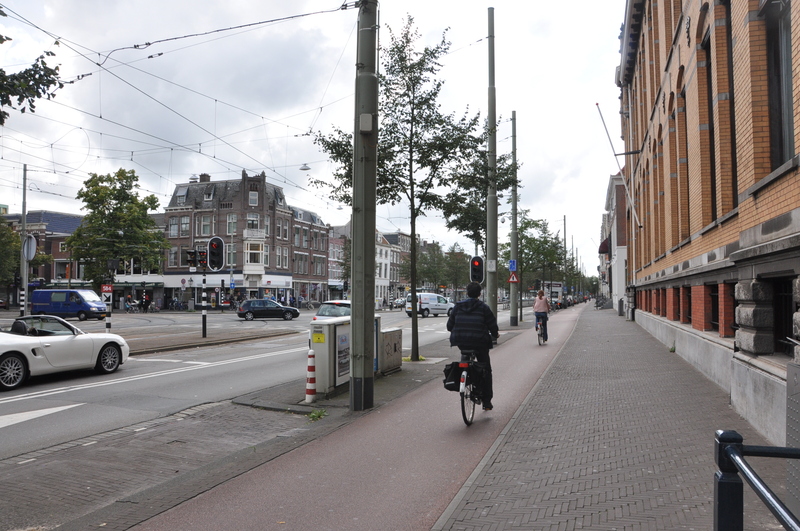 But yeah, let’s get up to the level of ordinary Dutch cities first!